Clawbinder reads like the introduction or prologue to a much longer story. If this is the case, I think it reads fairly well. If it's not going to form the opening pages to something larger then much work needs to be done for it to stand on its own.There's very little character development, or background information provided to fill in the glaring blanks in the story. As a short story prologue that's ok, because the gaps will be filled by the detail in the rest of the novel... alone, that's not ok.I was left curious about the powers Saira possessed and how Rajani would react to the whole situation. One thing to note, the synopsis/blurb says that the new kindle book comes with a preview of an upcoming novella "Night Feeders" but my copy didn't have that. I did purchase my copy in 2012, and it appears that the change to the synopsis/blurb occurred in 2014. So I can't comment on the preview. This fantasy short story feels like a set-up for a series of novels and if it is, then it's a decent one. But while the story line is good, otherwise there's not a lot here, no world-building, no character development, and while the twist at the end is nicely played, the lies told by the heroine to reach that twist don't carry the plotline sufficiently. Besides, if there's a fraternity of people riding these big birds, why aren't they also breeding them, rather than stealing eggs from the wild ones? I think if the story was longer, I'd enjoy it more. But this was just too short for me. Still, interesting. 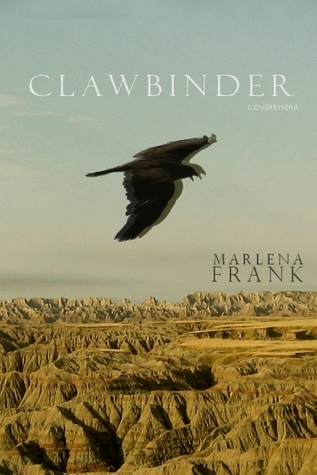 Marlena Frank - A writer of both fantasy and horror, Marlena’s work is in a smattering of anthologies. Her stories lean toward weird horror, creature horror, and YA fantasy. She typically thinks up strange tales while sipping sweet tea at her Georgia home, listening to podcasts on her hour-long commute, or while reading a good book with her three cats.